Millions of people around the world are dealing with various skin problems such as eczema, acne or pimples which can really affect a person’s self-esteem. They are difficult to treat, but you should know that these problems can be resolved with the help of some natural remedies. Baking soda is one of the most common household ingredients we all have at home. Besides being used for rising dough and cleaning, baking soda can also exfoliate your skin. It is mildly abrasive, but it won’t harm your skin. Baking soda has been used as a natural remedy against numerous skin problems for years and is a frequent part of many DIY peelings. Continue reading the article below to learn about a few baking soda-based remedies which will treat your skin problems and improve the quality of your skin. A paste made of baking soda and water will exfoliate your skin and remove dirt and dead skin cells from it. Just mix a bit of both ingredients and apply the paste on your skin, then rinse with warm water and repeat the process every day. Another great natural exfoliator can be made with baking soda and ground oats. Mix baking soda, water and ground oats in equal amounts in a bowl, then massage the paste on your face and rinse with warm water afterwards. 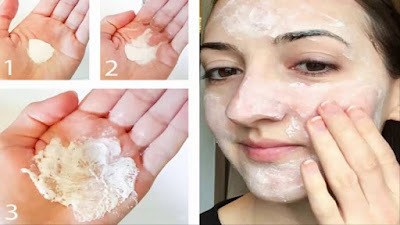 This paste can remove dead skin cells from your face as well as dark circles under your eyes. However, you should be careful not to get it into your eyes. A mixture of baking soda and lemon will disinfect your skin and improve your complexion. Mix 2 tablespoons of baking soda and the same amount of granulated sugar in a cup, then add ¼ of a cup of lemon juice and mix everything well. Now, wash your face and apply the mixture, then leave it to work for 10 minutes before rinsing with lukewarm water. Coconut oil will hydrate your skin and make it softer than ever before, while also reducing inflammation and fighting problems such as acne and pimples. Mix equal amounts of coconut oil and baking soda and apply the paste on your skin – if your facial skin is delicate, use more coconut oil. Apply the mask on your skin and rinse with water after a few minutes. Repeat the process every day until you notice positive results.